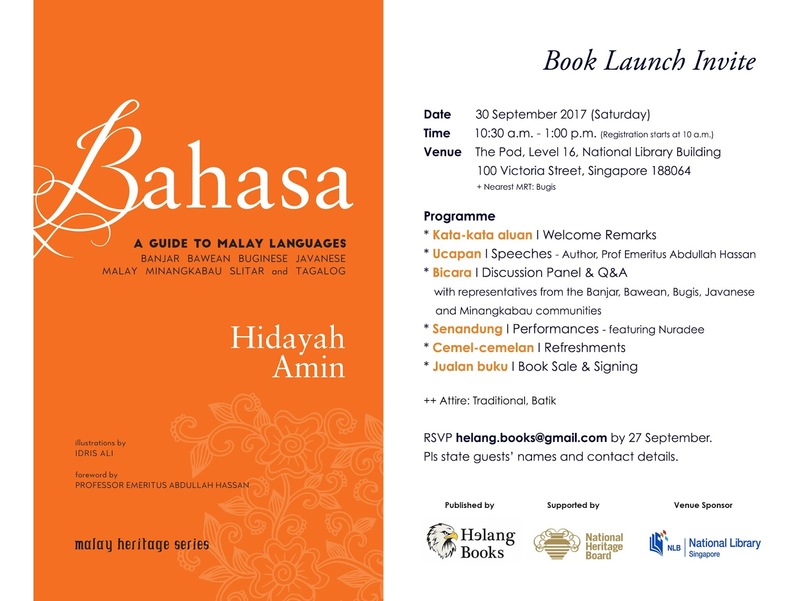 Bahasa: A Guide to Malay Languages explains common Malay words and their equivalent meanings in eight Nusantara languages of the Malay Archipelago: Banjar, Bawean, Buginese, Javanese, Malay, Minangkabau, Slitar and Tagalog. 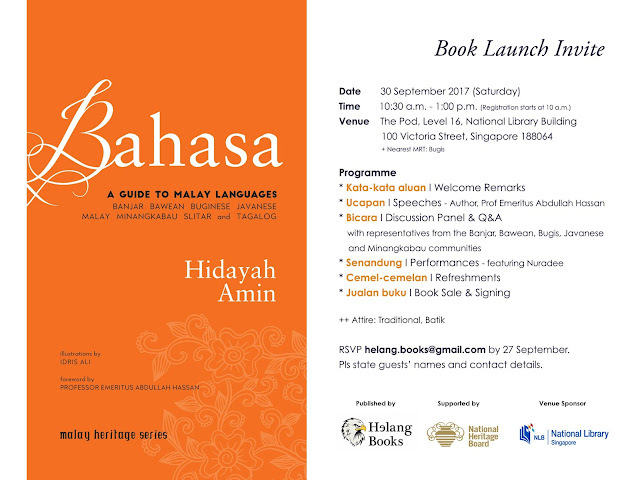 Personal anecdotes by the author and charming illustrations frame a brief history of the Malay peoples, offering a unique lesson in the anthropology and experience of these eight ethnic groups. As the presence of these languages in everyday conversations gradually diminishes, it is hoped that this book may revive interest in these languages and preserve knowledge for the benefit of generations to come.